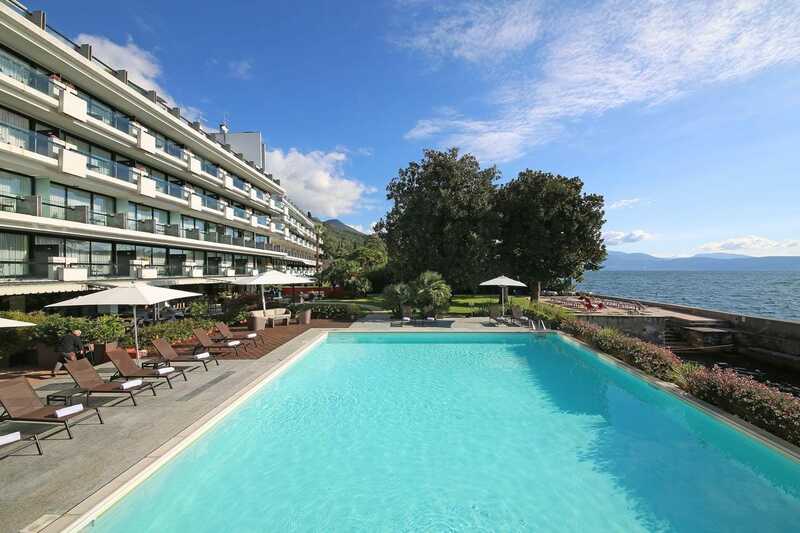 Featuring a swimming pool and a private dock, the Salò du Parc is set in a historical garden overlooking the Gulf of Salò, a 5-minute walk from the centre. Guests can benefit from a garden and free WiFi in public areas. The spacious rooms are warmly decorated with stylish furnishings. Each offers air conditioning, a TV and a balcony. Salò du Parc Hotel enjoys excellent transport links. You can also reach the ferry departure point in 8 minutes by foot. Private parking is possible in front of the hotel, with an extra cost. The restaurant with lake view serves refined Italian and international dishes. Start your day with a generous continental breakfast.